What could be more tasteless than Pink Flamingos or Thriller: A Cruel Picture? How about a month-long season of films featuring offensive racial stereotypes. 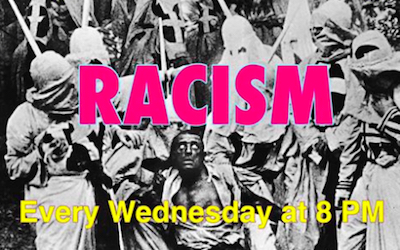 The Racism season begins on 6th September at Bangkok's Bad Taste Cafe, concluding on 27th September with DW Griffith's The Birth Of A Nation. Hollywood's first epic, The Birth Of A Nation remains an incendiary film more than a century after its release. Depressingly, its glorification of the Ku Klux Klan is still relevant today, after Donald Trump's equivocation following last month's KKK rally in Charlottesville, Virginia.